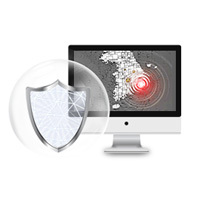 Korea only Acceleraton Zone for DDoS protection - Our protection zone is Fast, Safe and Powerful. Our global infrastructure blocks attacks closer to the source to prevent the traffic from ever hitting our core network in Korea. Instead, if malicious traffic is detected, it is discarded from our infrastructure without being passed on to yours. Without the installation of hardware or software,Kdatacenter protects websites or applications from DDos attacks and CC attacks. A DoS/DDoS Attack is mitigated nearly instantly, avoiding downtimes and side effects related with it. Quality is an important factor, our engineering team is always available for you. All kinds of DDoS attacks are mitigated into our systems and only the good traffic is allowed to pass. We aren't resellers like the competition, we develop our mitigation technology daily, improving it day-by-day to become the most up to date and quality DDoS Protection available. You will be protected against any kind of DDoS Attack, being TCP, UDP, CC Attack and so on. There are three main service types of DDoS protection. It is important to note this because each solution handles the different types with various levels of efficacy.